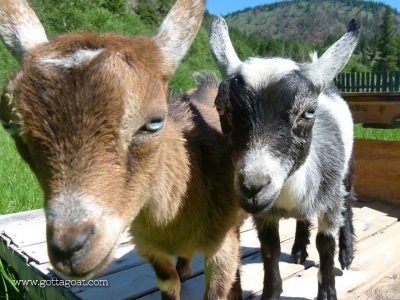 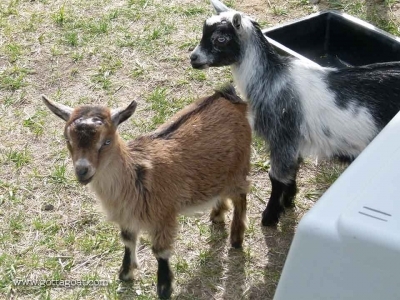 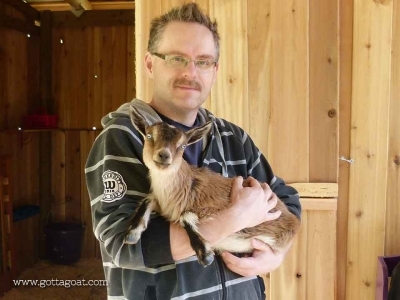 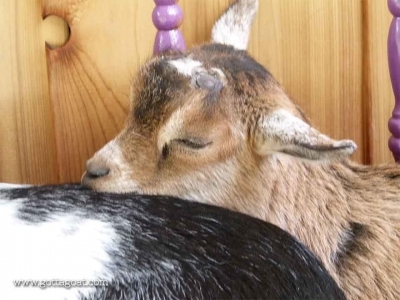 When we first went to visit the goats on March 15, 2015, Primrose was the first baby goat that our kids picked out. 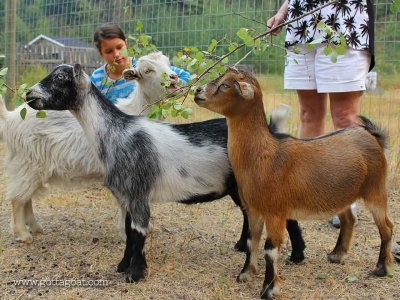 She was such an adorable goat, and looked so much like a little deer, that the kids immediately fell in love with her! Although Primrose was smaller than some of the other kids, we decided she was a “keeper”. We brought Primrose home, along with Leeloo, on May 9, 2015. 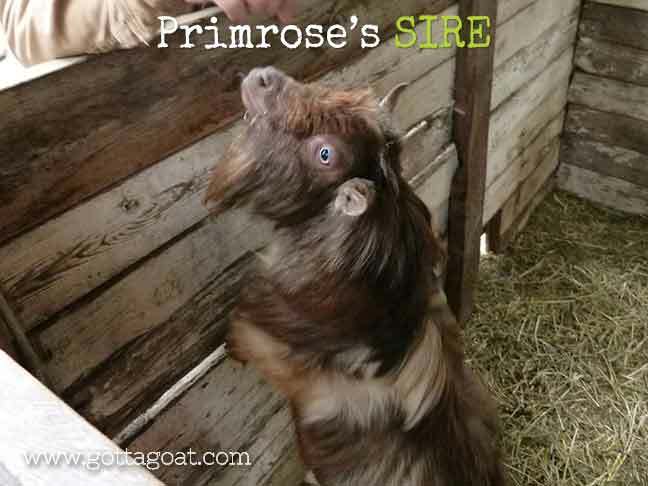 Primrose has a surprisingly loud voice for her little size. 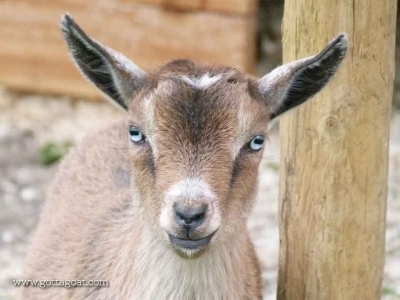 We can always tell it’s her when she is crying! 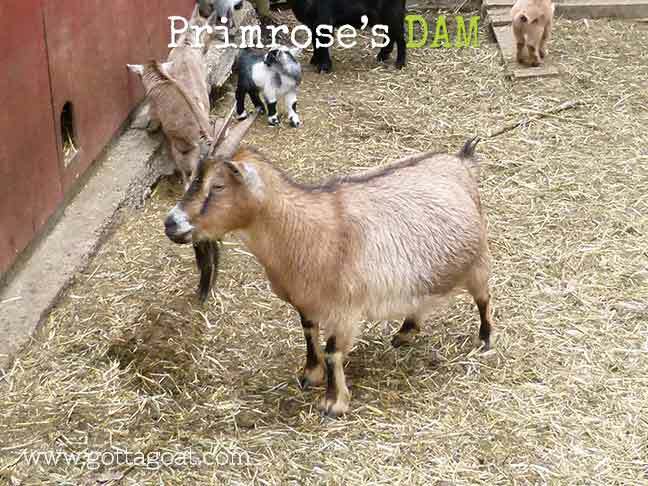 And although the smallest of our girls, Primrose is the most demanding. 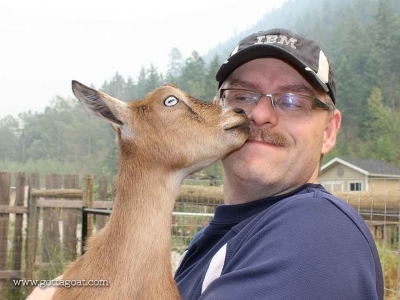 When it’s feeding time, Primrose loves to jump all over you. She’ll use you, the stall gates, and the barn doors as a launchpad for her own special kind of parkour! 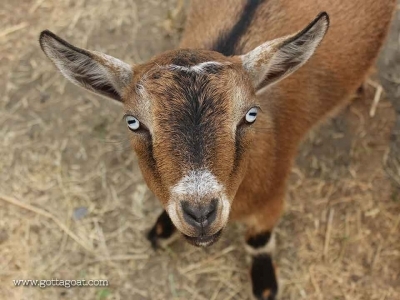 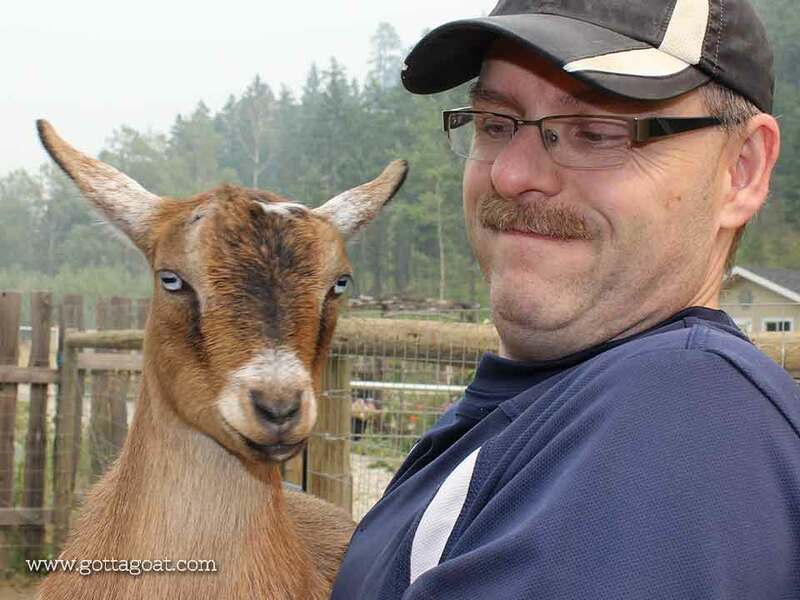 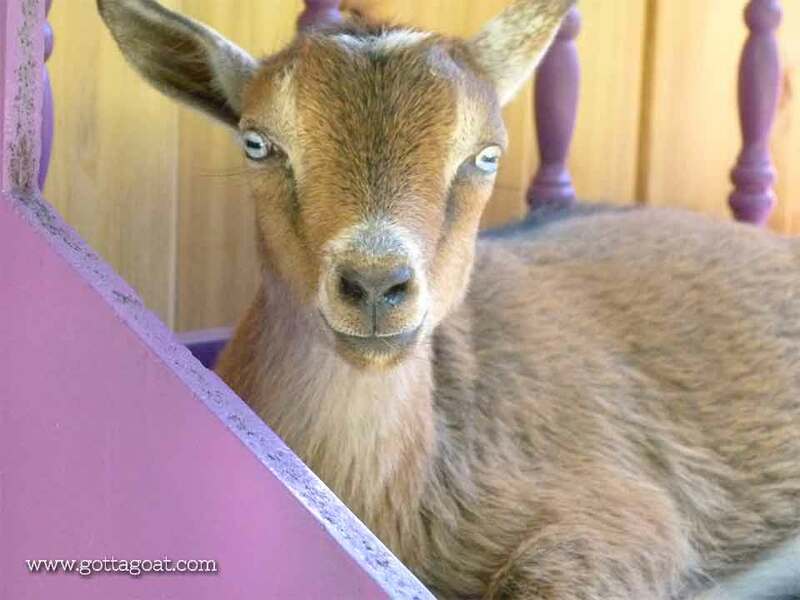 Primrose is such a sweet little girl though, and loves being around everyone – both people and the other goats. 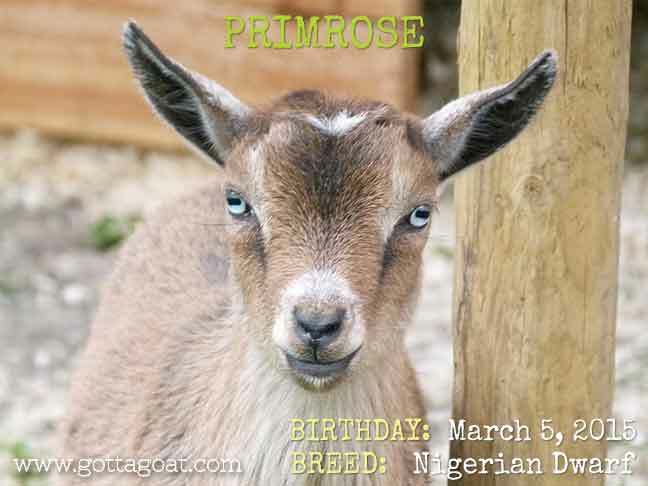 Primrose is an unregistered Nigerian Dwarf, with a registered sire and unregistered dam. 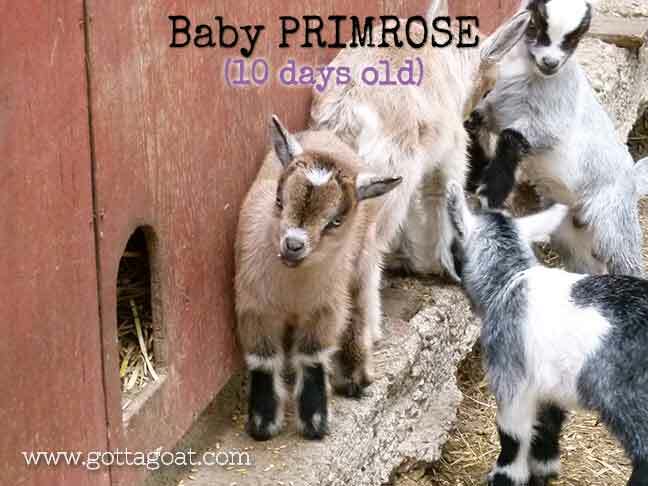 In keeping with the theme of her mother’s name, Katniss, Primrose was named after Katniss’s sister in The Hunger Games.